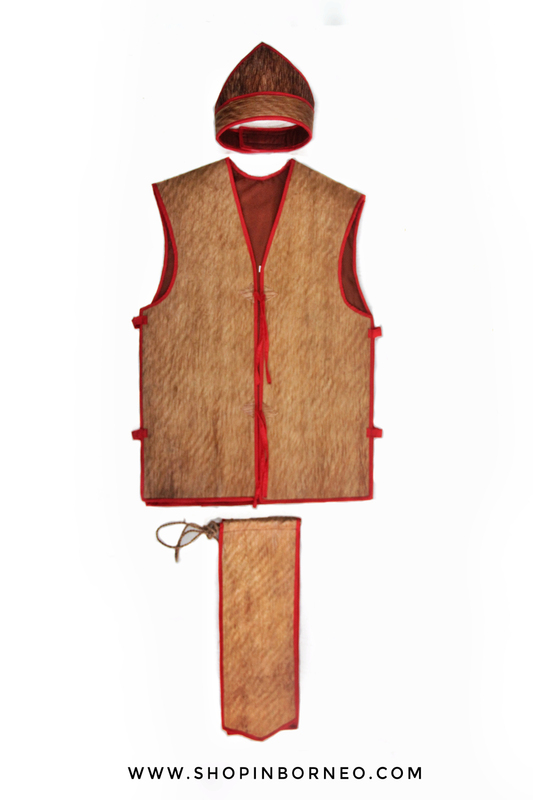 The Murut costume for men comprised a jacket made of tree bark Artocarpus tamaran. a red loincloth and headdress also made of tree bark. Red color is added to symbolize bravery.